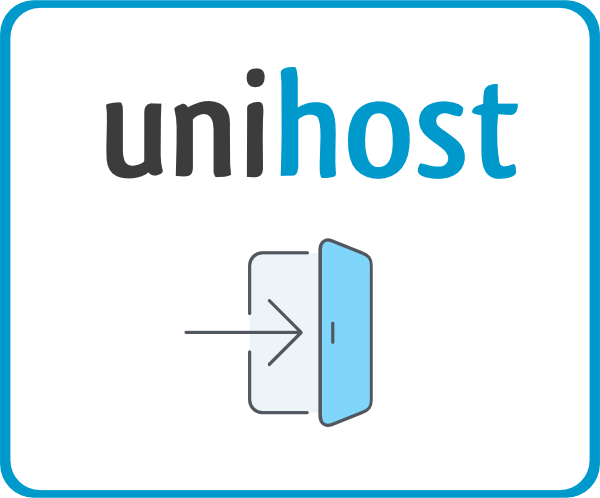 You can add a domain to the hosting or a server via the admin panel. Name. Enter the name that the domain will be available at. Aliases. Enter the additional names that also lead to your domain. For example, www.example.com and more.example.come. Root directory. Leave the default value. IP address. By default it is the IP address for the server where your hosting account is located. If you change it, the domain will be unlinked from the website on the hosting. Administrator email. The contact address that will be displayed on the error pages. Encoding. The symbol table that is used for all the WWW-domain’s pages by default. Index page. List of filenames that will be provided when the URL is accessed without a specified filename. If you leave it empty, global settings will be used. PHP. Check it to use PHP, which is necessary for many modern CMS. PHP mode. CGI is preferable. CGI-scripts. Check it to use CGI-scripts, which are necessary for many modern CMS. 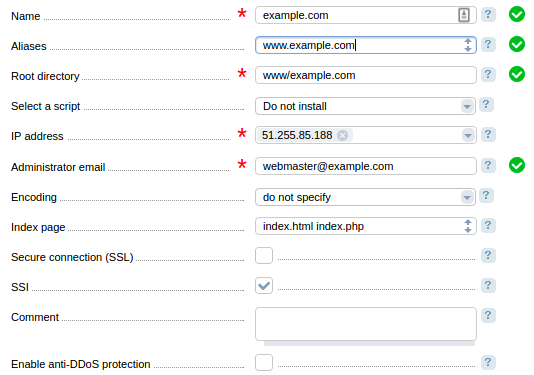 Click ОК to create the www-domain. 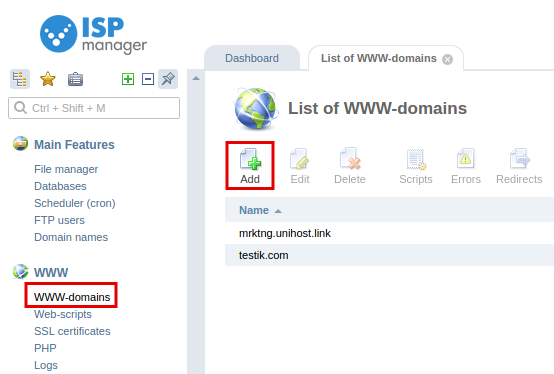 Fill in the new domain’s name, subdomain and the root folder for the contents of its website.